Input: AC 100V-240V, 300mA, 50/60Hz. 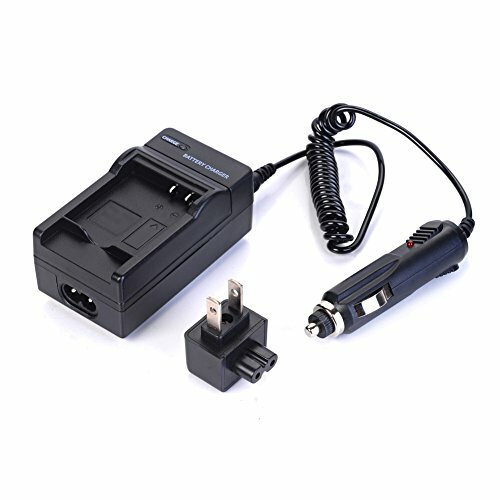 The high quality, standard battery charger kit includes a D/C desktop charger with US A/C wall charger, and car charger (cigarette lighter adaptor). Recharge your digital battery with the desktop charger at home or office or while traveling with the desktop charger and cigarette lighter adaptor. Charger indication Green lights for standby, Red is for charging. Which can prevent the overcharge and overdischarge. Its unique flat pin design allows easy storage and makes it a compact battery charger. 30 Days Money Back Guarantee / 12-month worry free warranty for our product. Please contact us with any questions or concerns. If you have any questions about this product by HZQDLN, contact us by completing and submitting the form below. If you are looking for a specif part number, please include it with your message.